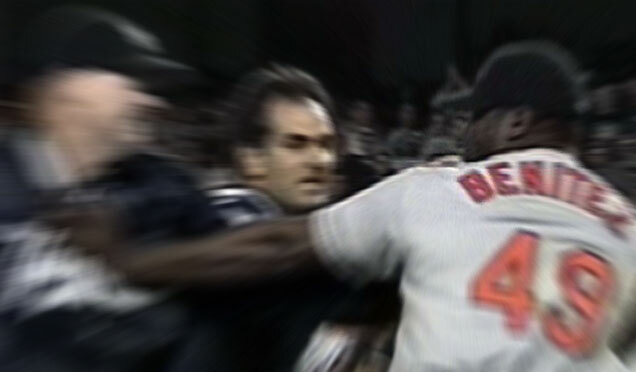 Baseball ‘brawls’ have been mocked by sports fans since forever. But every once in a while, there is one that is a pure classic. In Yankees lore, the throw-downs with the Boston Red Sox in the 1970s were as good as it gets. It was a different age. A different time in American society and in sports in particular. It was before free-agency was the norm, when players spent a good chunk of their career on one team. Even though ballplayers still earned 10 times more than the Average Joe in those days, there was not the ‘friendliness’ between mortal enemy clubs that we see today. If you think for one minute that Yankee brass of the 1970s would be kissing Big Papi’s tush with gifts and a tribute, you’re outta your mind.